We are proud to be an approved electronics waste vendor for the National Environment Agency! While NEA doesn’t officially endorse any company, we’re proud to be listed on NEA’s Website as an approved vendor. 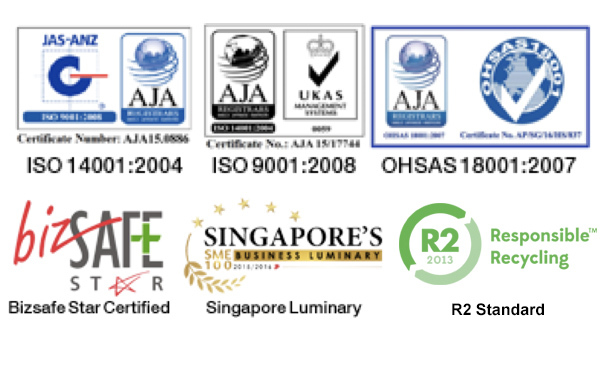 Virogreen Pte Ltd IT Asset disposal and recycling services are trusted globally, delivered securely and efficiently. We helped many companies around the world navigate the requirements and demands of proper disposition, ever-changing certifications regulations and laws. Our single-source solutions makes focusing on your success effortless. Ready to embark on your IT refresh programme? Contact Us Today!